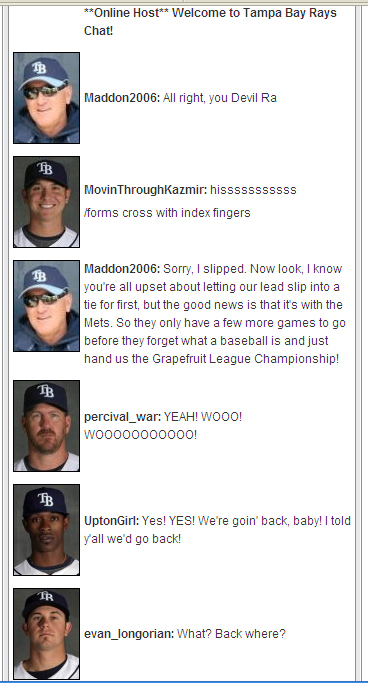 We must admit, few things get us more excited than seeing a new post pop-up in our feedreader from The Dugout. The humor is sooo 9th grade, but it is usually short, sweet and to the point and is almost always good for at least one out loud laugh. Just the sort of thing to get us through the day. Below is just a snippet. You can see the entire chat session HERE or by clicking on the image below.